We thank you for honouring us with your presence this afternoon. President of the Court of Appeal; Principal Judge of the High Court; Principal Judge of the Employment and Labour Relations Court; Presiding Judge of the Environment and Land Courts and all Presiding Judges of Superior Courts countrywide. The meeting centered on recent criticisms against the Judiciary including the current perception that the Judiciary is the weakest link in the fight against corruption; backlog of cases; case management issues and other issues the Judiciary is facing. It was largely an introspection and stock-taking meeting. While the Judiciary appreciates that it is independent and must remain so for the rule of law to be observed and individual liberties enshrined in the Constitution respected, the Judiciary also appreciates that the principle of judicial independence also calls for judicial accountability. The Constitution calls for the Judiciary to be accountable, efficient, effective and transparent in the administration of justice. This is a work in progress and the Judiciary invites continued scrutiny and constructive criticisms aimed at improving its functioning. 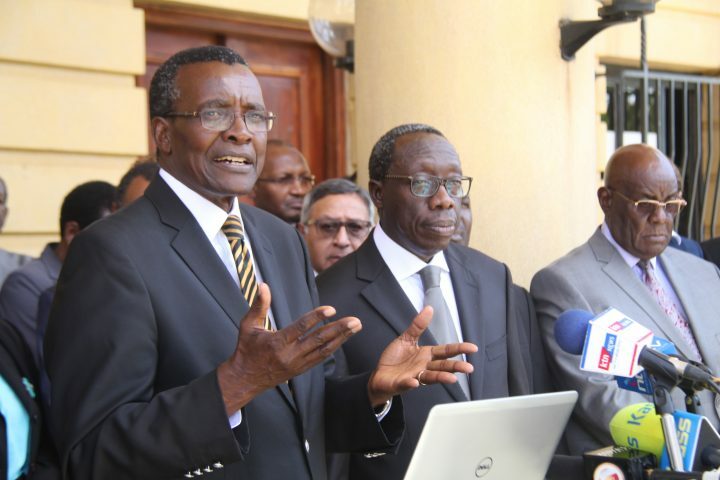 The Judiciary leaders pledge to continue being responsive to constructive critiques and amenable to constructive engagement with other arms of government and stakeholders while remaining robustly independent. As Kenyans, the Judiciary Leaders acknowledged that corruption is a cancer in our society. The Judiciary is committed to playing its rightful role in the fight against corruption within the ambit of the law. Between July, 2017 and December, 2018, a total of 91 corruption cases were determined. Out of these, there were 46 convictions. As of today, there are 94 pending corruption cases. The Chief Justice has given written mandate to all the magistrates in the anti-corruption court to sit beyond normal court hours in order to fast-track the cases. The Judiciary Leaders discussed and recommended active case management techniques which will be deployed to fast-track these cases. All magistrates in anti-corruption court will undergo sensitization and training in Active Case Management techniques. The Judiciary will also take stock of all cases involving infrastructural projects with a view to fast-tracking them. As part of the Judiciary’s responsibility to be accountable, the Judiciary Leaders pledged to keep the public and stakeholders informed of progress in all matters involving public interest litigation including anti-corruption cases and cases involving major infrastructural projects. The Judiciary Leaders noted that Kenyans generally rely on what is reported in the media yet many times the information reported in the media is inaccurate. The Judiciary will engage with the media to give access to the correct information so that the media can report accurately on matters being handled by our courts. The Judiciary Leaders also recommended that the Directorate of Public Affairs be revamped to be more responsive in providing accurate and timely information on cases all matters in the administration of justice. The Judiciary Leaders noted that the Honourable Chief Justice has convened an NCAJ meeting next week. 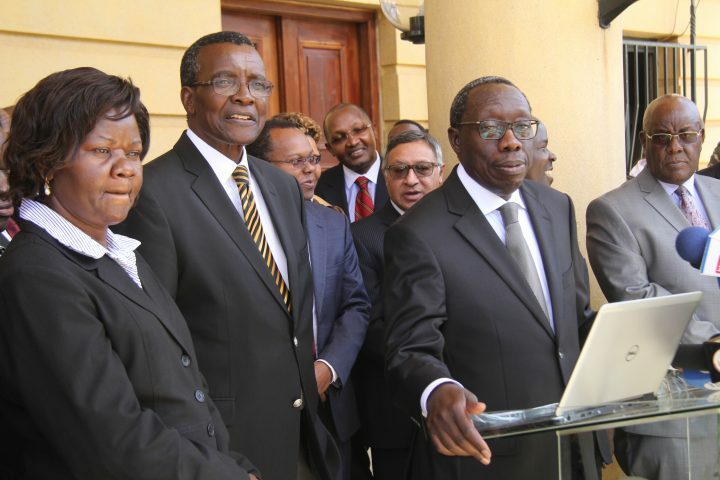 The Judiciary Leaders recommended that the Honourable Chief Justice so that the Justice sector as a collective can address the issues hampering the prosecution of anti-corruption cases. The issues include the provision of witness statements (which often run into thousands of pages for anti-corruption cases); and failure to avail witnesses; failure to avail expert witnesses and their reports. The Judiciary appreciates that the war against corruption can only be won through inter-agency collaboration of all actors within the justice sector. The Judiciary Leaders acknowledged that Article 157 of the Constitution places the role of investigation and prosecution on the Office of the Director of Public Prosecutions. The Constitution stipulates that the DPP cannot be directed by any individual including the Courts in playing that role. The Courts are committed to respecting that role and, absent exceptional circumstances, the Courts will not interfere with the discretion of the DPP. Courts only intervene in exceptional cases where prosecutorial abuse is demonstrated.